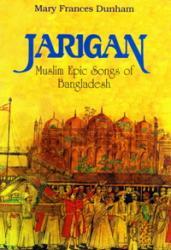 “Muharram and the villagers have come, Drunk with excitement, singing jan songs...” Thus a twentieth century poet describes the intensely emotional Muslim festival of Muharram from which many of the songs known as jarigan in Bangladesh have originated. These narrative songs, too epic in their dimension to be called ballads, blend influences from sacred and secular Perso-Arabic literature of the Middle East with compositional roots in the epic poetry of South Asia. During their heyday, performances of jarigan songs, like oratorios, combined solo, choral and instrumental passages to express the lyrical as well as expository material of the lengthy narratives. The highly developed poetic and musical form of the jarigan songs, as well as their suspenseful plots and the dramatic mode of their rendition, appealed to mass audiences. Recitals were embellished with songs from outside the jarigan repertory and often ex tern pore debates in verse between rival bards further enlivened the event, entertaining listeners for a week at a time of night-long sessions. Today, “jan” songs continue to be composed in new ways with new uses. The present book is designed for the general reader as well as for specialists in the literature and music of Bangladesh. The author explores the origins of jarigan songs and reconstructs the program and staging of their full-scale recitals. She describes current singers and the modern uses of the jarigan texts in Bengali and English. The poetic and musical structure of jarigan compositions are analyzed and accompanying notations for selected songs suggest the variety of their tunes. illustrations include reproductions of documents as well as photographs of singers, instruments, performances and Muharram celebrations in color and black and white. 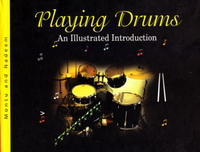 The book is accompanied by an audio cassette containing jarigan songs.